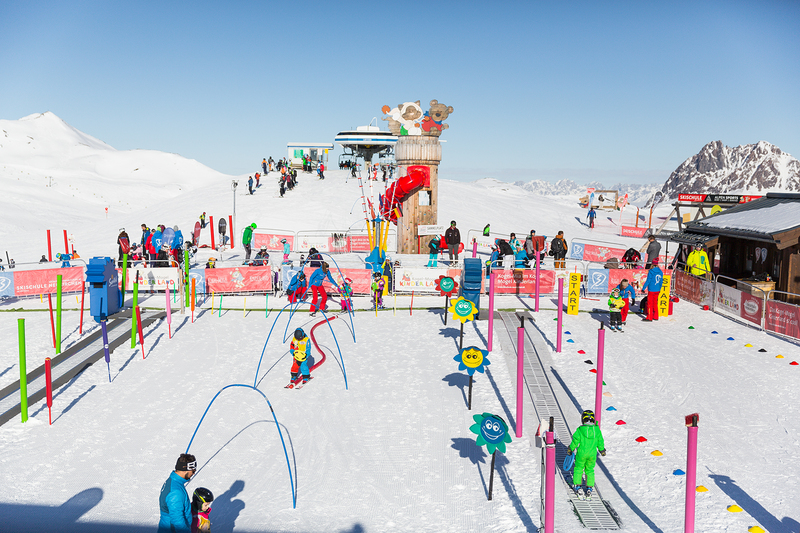 Ski rental with family package and online discount bookable with our sports partners. The Kogel-Mogel kids club simply offers more. 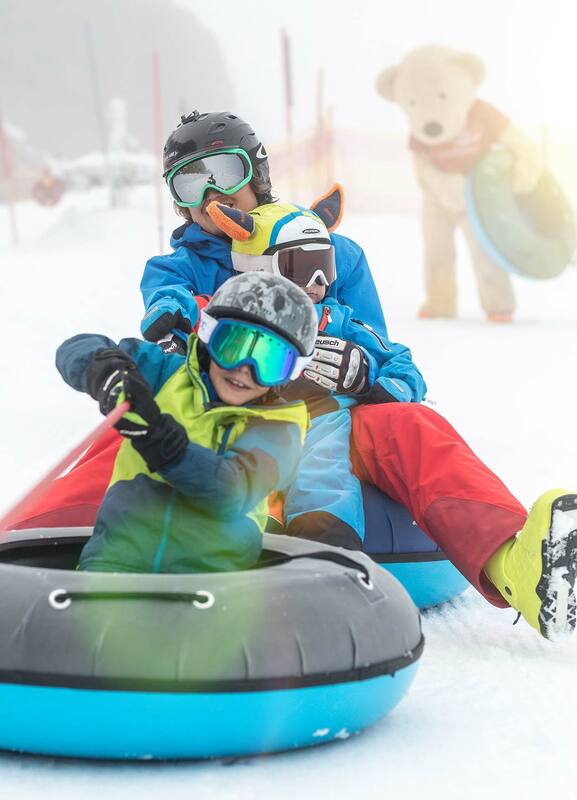 More safety on the slopes, child-friendly learning tools, specially trained instructors, responsive to the wishes and needs of children. The skischool also offers lunch care. 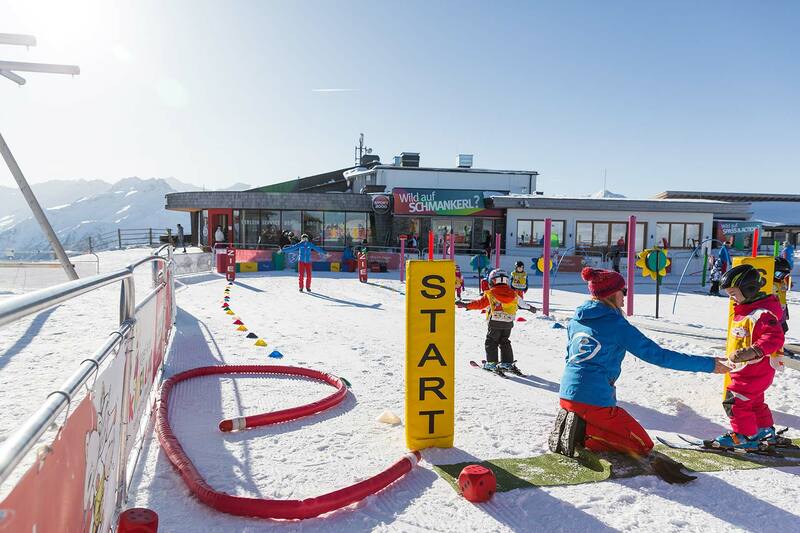 The children are supervised from 12:15 pm to 1:30 pm in the kids restaurant of the mountain restaurants. As an alternative to extreme temperatures and stormy days, we use our newly designed ski school meadow beside the valley station of the Wildkogelbahn. 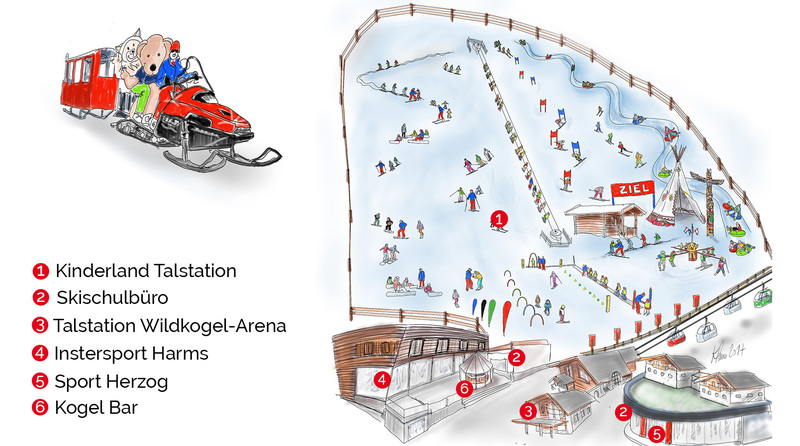 The new snowmaking system ensures the operation of the ski lift and the conveyor belt. Private lessons for beginners in the valley are possible at any time! Attention: The ski pass is not included in course price! • ATTENTION! All kids up to 15 years have obligation to wear a helmet!!! • If you rent skis, please note the rental-number of them. • Your child should have snow goggles or sunglasses, handkerchiefs and suncream with him/her. • Beginners do not need ski sticks! 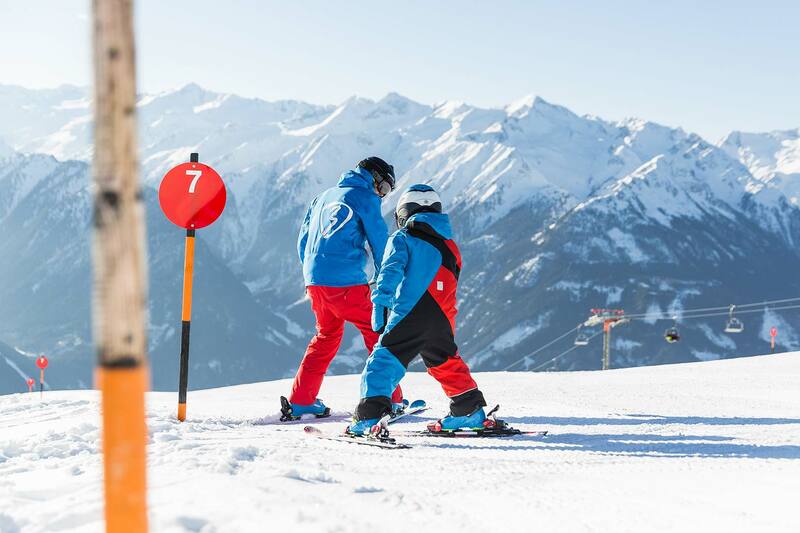 • If your child suffers from an allergy or illness, please inform the ski instructor. 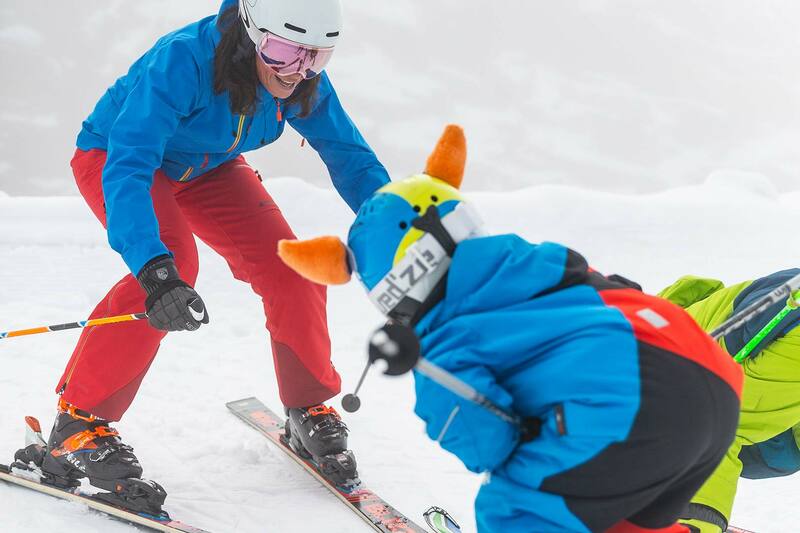 • It is necessary that your child knows the name of his/her ski instructor. Please ask for his/her name on the first day. • For cases of urgency there´s a contact person at the meeting point in the children's area. Lunchtime	If you want we can also supervise your child at midday from 12:15 pm to 1:30 pm Children get a midday meal & a drink in the children´s section of the restaurant. Race & award ceremony	We arrange a race every week. Please ask your instructor for the time and place of the race as well as the time of the award ceremony. 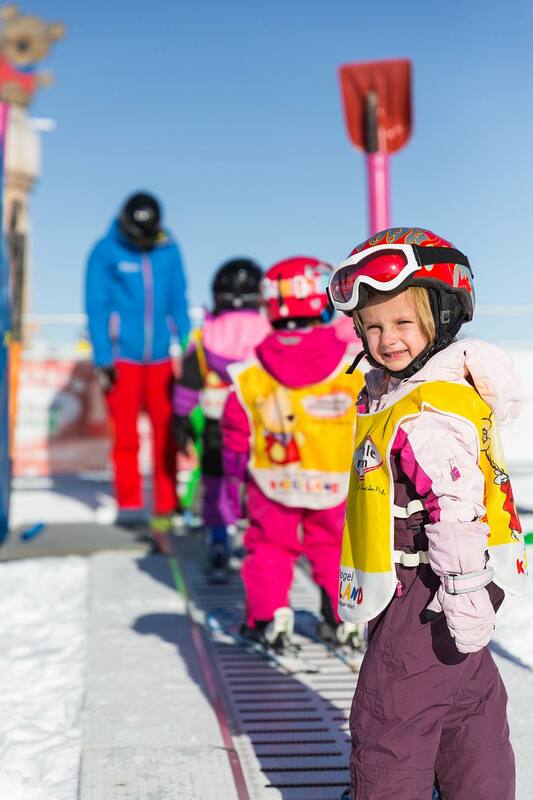 All children get a BUTTON, a MEDAL, a CERTIFICATE and a KOGEL-MOGEL-CHILDREN´S SKI PASS! ATTENTION! When you pick up your child, please give notice of departure! Please put the ticket for the lessons into the jacket of your child and write your phone number on the backside of the card! 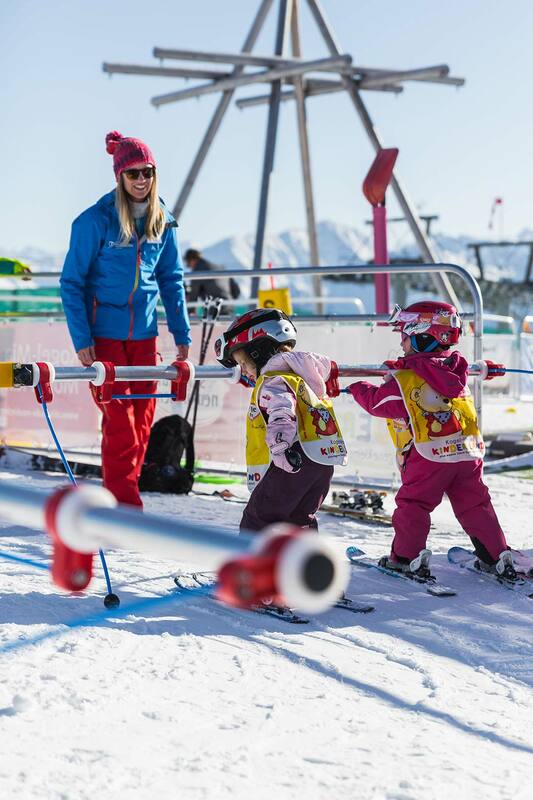 Please ask your ski instructor AT WHAT TIME and WHERE you have to pick up your child at midday and at the end of the day when the lesson is finished.